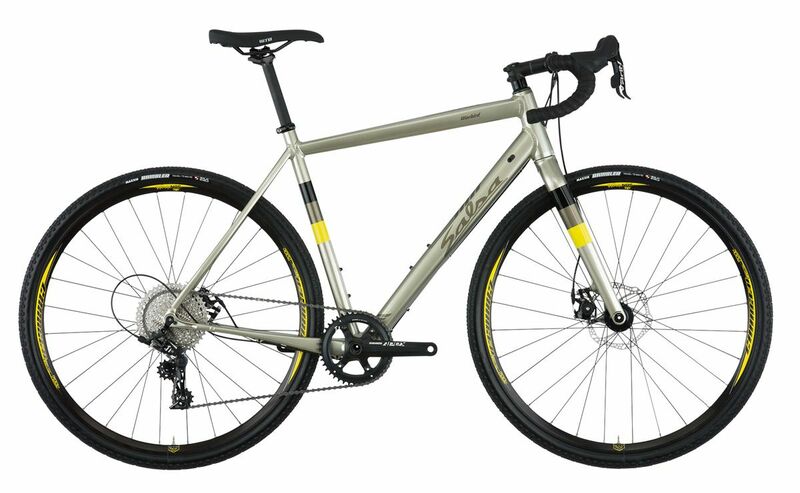 Warbird is our gravel race bike, built off years of experience racing in some of the nation’s premier gravel events. Warbird is designed to survive and thrive on anything from the often-hazardous B-roads that make up much of the Midwest gravel scene to the fire roads that climb to the heavens on the coastlines. 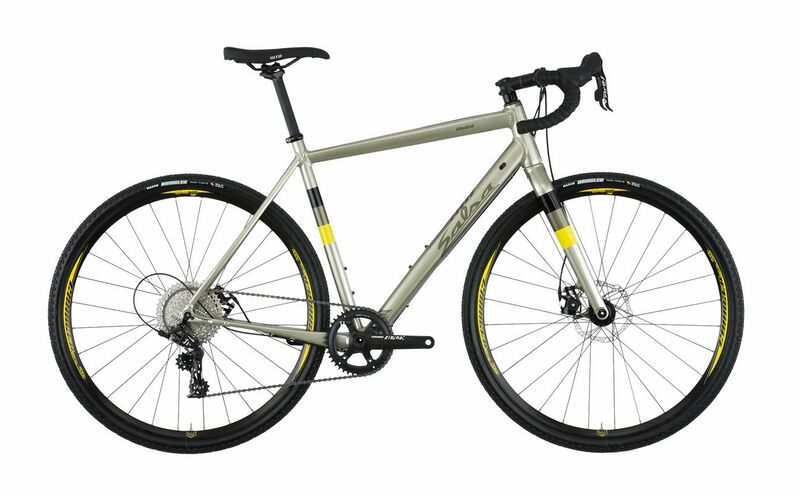 Warbird is our gravel race bike, built off years of experience racing in some of the nation’s premier gravel events like the Almanzo 100, Dirty Kanza 200, and 340-mile Trans Iowa. Warbird is designed to survive and thrive on anything from the often-hazardous B-roads that make up much of the Midwest gravel scene to the fire roads that climb to the heavens on the coastlines. Riding a Warbird only improves your chances of a podium finish. The Class 5™ Vibration Reduction System has specially shaped seatstays with a tall, thin, vertically oriented profile that promotes vertical compliance by allowing the seatstays to "flex" outwards on impacts. 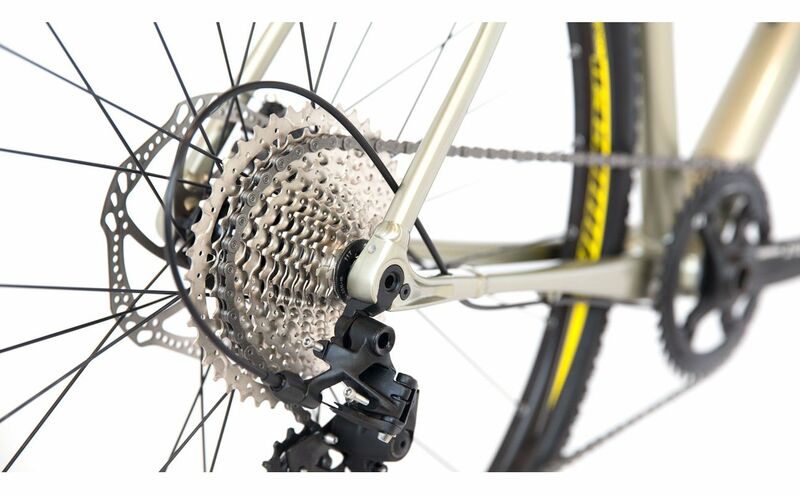 The horizontally oriented chainstays work to resist torque and maintain a laterally stiff rear end. The seatstays and chainstays lack bridges, furthering the full length of the stays to contribute to flexibility. And a rear thru-axle delivers precise tracking while allowing the seatstays to provide that incredible compliance. As the demands of gravel racing grew in scope, so too did the need for a re-examination of what was and wasn’t working with the bicycles riders were using at the time. 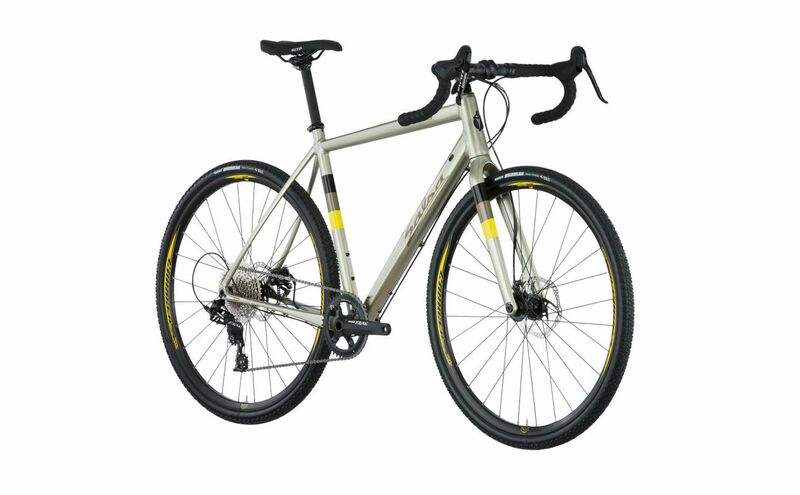 The result was the first modern gravel-racing-specific bike. Warbird places the rider in a position that can be maintained for hours on end over bumpy B-roads and shifting surfaces, drastically reducing fatigue. A low bottom bracket and a stable wheelbase help keep tires planted without robbing speed. 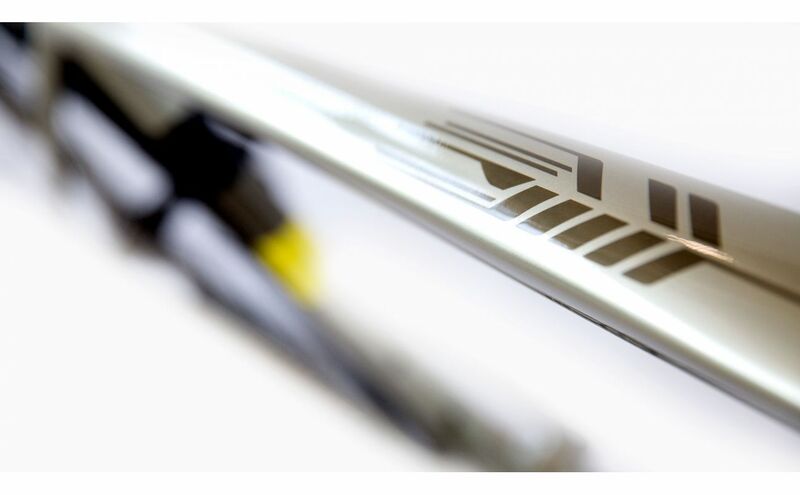 Full carbon fork with a tapered 1-1/8 to 1-1/4" steerer tube for superior tracking and ride quality. Massive 46mm tire clearance for muddy B-road conditions. 15 x 100mm thru-axle and Salsa-designed carbon layup for frame matching compliance. 74mm post-mount style brake mount. 140 to 160mm disc brake rotor compatible. Hidden fender mounts. The Warbird can fit up to 44mm tires, 38mm with fenders, and still have plenty of room to keep you moving on a muddy B-Road. Internal cable routing through the downtube, then along the chainstays. Brake routing is external along the downtube and chainstay for easy maintenance. Can be run internally with 1x setups. Frames can be run with full housing internally, cables only, or Di2 routing. Front derailleur cover plate exists to keep frame looking stellar with 1x setups. Each size can carry up to 3 water bottles on the frame. The option for protection from the elements is there when you need it, but the attachment points are tucked away to maintain the pure race bike look.